GORHAM, ME - In the beginning of 2014, we were just coming off a very successful year, which saw membership double, and impressive results in on air activities, including a first place in the CQWW VHF contest, but despite being pleased, we weren't quite satisfied. 2014 saw an environment emerge where members took pride in the details and shared an initiative to make things even better. 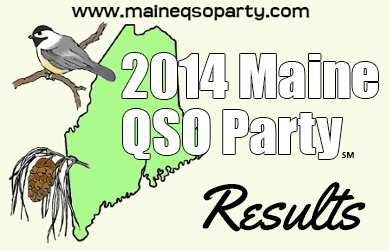 Maine QSO Party Winners Announced! GORHAM, ME - The Wireless Society of Southern Maine is proud to announce the winners of the 2014 Maine QSO Party, which took place September 27-28. Thanks to everyone who participated and especially to those who supported the contest by writing and testing updates to contest logging programs, and helping to promote the MEQP throughout the year! 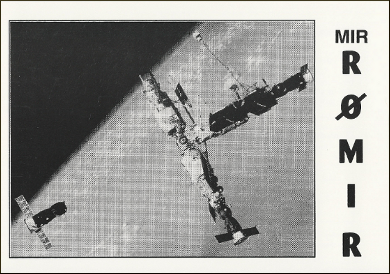 Here's a QSL card received for an August 1999 SWL report from the MIR space station. 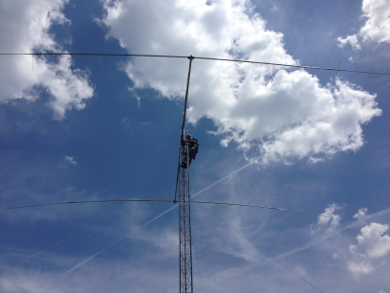 WS1SM Number 1 in Maine for 2014 Field Day! SCARBOROUGH, ME - The 2014 Field Day results are in, and WS1SM is 1st place in Maine - all categories! In only our 4th year competing, this is a huge accomplishment! Thanks to everyone who put in such an amazing effort. 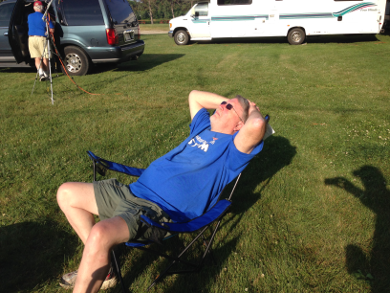 WS1SM tallied 1052 QSOs, and 4910 points, operating in the 3A category. On Sunday, October 5, 2014, the World Radio Team Championship (WRTC) Sanctioning Committee selected Germany as the host country for the WRTC 2018. This nomination followed an initiative of DARC, BCC, and RRDXA, initiated during the ham radio fair Friedrichshafen at the end of June 2014. A small team, headed by Christian Janssen, DL1MGB, was setup in order to explore the option to hold this event in Germany. The Wireless Society of Southern Maine would like to welcome the following new members: Michael Courtenay, KB1DBL, from Warren, ME, and Tom Berman, N1KTA, from Portland, ME. The bands have been much improved the last few weeks, especially 10 and 12 meters, which have been open to Europe during days and Asia in the late afternoons. With many of us having time off for the holidays, this is promising news, especially if you're still needing some new ones on 24 and 28 MHz. Also, keep an eye out for "Holiday-style" DXpeditions, as folks venture to warmer climes, and don't leave their radios behind. These are usually low-powered, often CW-only, expeditions, operated for short periods of time from portable locations on beaches and patios. 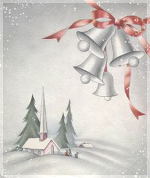 There's been a number of special event stations on the air as well, especially Christmas-related ones from places like Lapland (OF9X and OH9SCL), K9C in Rudolph, WI, andWX3MAS in Nazareth and Bethlehem, PA. 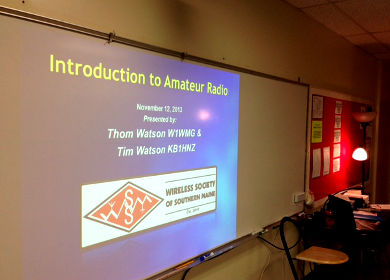 Amateur radio is as much about people as it is about meters, transmitters and zener diodes. Its a community, diverse in its interests, talents, and age, but similar nonetheless, because we're all connected by a common passion. I'm grateful for the many people I've met and the friends I've made and continue to make because of this hobby. And so, as I dream about the various gadgets or radios I'd like to find in my stocking Christmas morning, I can't help but to think about how little they'd mean if I didn't have these folks to share them with. The fun, afterall, is about trying out new things and seeing what works, and having good people there to steer you in the right direction when they don't.